In Brazil, the inspiration from Europe and the prestige of the nineteenth century's constitutionalist theories have developed into the codification of law, providing for general principles and rules. The Brazilian legal system follows the tradition of civil law, and has also been impacted by a common law influence, with common law mechanisms recently being adopted; where a precedent exists, a higher judicial authority is utilised. Brazilian law is hierarchically organised. Accordingly, the Federal Constitution is the country's supreme law, determining fundamental principles, rules concerning the organisation of government and the horizontal distribution of power. The Federal Constitution, comprising over 100 articles, provides thorough and specific rules on an array of matters. Complementary and Ordinary Laws are placed at the second level of the hierarchical scale, and are intended to regulate social relations such as in commercial, tax, civil, administrative, economic and criminal matters. Likewise, provisional measures2 enacted by the executive branch are placed at the second level. Moreover, equivalent significance is granted to rules proposed by the judicial branch at its highest level – the Federal Supreme Court – when it issues binding legal precedents. Brazil is a federation formed by the federal government, the states and Federal District (the country's capital), and the municipalities. Each is responsible for legislating on specific matters, resulting in the fact that the hierarchy among the various types of legislation does not derive from the creator of the law, but, rather, from the subject matter of the particular legal text (e.g., only the federal government may legislate on civil and commercial procedure matters). In this regard, it is also interesting to point out two peculiarities of the Brazilian federation: first, municipalities are deemed federated entities; second, the self-determination of the states and their autonomy to enact laws is, in fact, quite limited. The Brazilian judicial branch is formed by state and federal courts. The ordinary jurisdictions deal with civil, criminal, commercial, administrative and economic law, among other things. However, specialised jurisdictions relate to disputes involving military justice, labour and electoral law. The judicial branch provides for a hierarchic division, encompassing three levels. The lower court is, as a rule, in charge of the first analysis of the facts and application of the law related to the case, and settles the dispute by rendering a single judge's decision. The parties may appeal to the appellate courts, which will likely render their decision through a three-judges panel after re-examining the applicable law and the facts of the case. This division is applicable to the ordinary and specialised courts. Should a party deem that an ordinary appellate court has breached a federal law, it may file a 'special appeal' to the Federal Court of Appeals (STJ), a higher court located in the country's capital Brasilia that has jurisdiction over the entire Brazilian territory and is tasked with ensuring compliance with infra-constitutional laws. However, the jurisdiction of the STJ is limited to issues of law (it may not review the facts of a case that have already been settled and determined by the lower or appellate courts), depending on the particular case. As for specialised jurisdictions, parties need to appeal from an appellate court to specialised federal courts of appeals (i.e., the Labour Federal Court of Appeals, Military Federal Court of Appeals and Electoral Federal Court of Appeals). In certain cases, appeals will be filed from such specialised courts to the STJ, especially in circumstances of conflict of jurisdiction. Other than an appeal to the STJ, a party may seek relief from the Federal Supreme Court, if it considers that constitutional law and its principles have been breached. In specific cases, the first degree of jurisdiction will be exercised by the appellate courts, the STJ and even the Federal Supreme Court depending on the positions held by the parties. In other words, the President of the country, the Vice President, Cabinet members, the Attorney General and members of the Congress, when accused of committing crimes, may only be prosecuted before the Federal Supreme Court. State governors may only be prosecuted before the STJ. In 2018, the Upper Courts were called to decide on the construction and applicability of several procedural rules, including those introduced by the new Civil Procedure Code, which entered into force in 2016. In this regard, one of the most relevant decisions rendered by the STJ concerns the statute of limitations applicable to contractual claims. The STJ has specifically affirmed that any claim based on a contract, even those seeking indemnification, could be commenced within 10 years of the event that gave rise to the claim. The statute of limitations applicable to claims based on contractual breach was a source of considerable legal uncertainty, as court decisions (including decisions rendered by the very STJ) have been applying either a three-year or a 10-year statute of limitations. The core of this dilemma lies in the Brazilian Civil Code, which provides for a general rule of a 10-year statute of limitations and for shorter periods applying to certain claims (such as the three-year statute of limitations applicable for indemnification claims). The new Civil Procedure Code provides a list encompassing only a dozen or so types of decisions that would entail the right to file an appeal before a final decision is rendered in the proceeding. As a result, all other decisions rendered during such proceeding could only be challenged after a final decision by the lower court judge. This was an attempted effort by the (relatively) new Code to reduce the overall number of appeals possible in a particular case, with a view to expediting the proceedings. Nevertheless, in view of the risk that such limitation imposed, in practice, on a party's right, certain state appellate courts have accepted the filing of interlocutory appeals even in those circumstances that were not featured in the list provided by the Civil Procedure Code. In light of the differences in the application of the legal provision that limits the cases in which an interlocutory appeal may be filed before the appellate courts, the discussion has finally arrived before the STJ. After a close vote (seven to five), the STJ decided that the list set forth by the Civil Procedure Code may be extended in light of the urgency of the case and in cases where an appeal decided only at the end of the proceeding would prove to be useless. Another relevant decision rendered by the STJ confirmed the jurisdiction of arbitral tribunals over reorganisation (insolvency) courts to decide matters relating to issues involving shareholders' issues, including increase of capital of companies under reorganisation. The decision is in tune with prior pro-arbitration decisions rendered by Brazilian courts and corroborates the adhesion, by Brazilian law, to the principle of competence-competence. The support for arbitration is even more remarkable because the decision was rendered within the context of the Oi Group's reorganisation proceeding, the largest such proceeding in Latin America, and may directly affect not only the company's restructuring plan (and, thus, tens of thousands of creditors) but other restructuring proceedings as well. In addition to specific procedural rules, the Federal Constitution and the Civil Procedure Code set forth principles and guarantees concerning procedural aspects, among which are due process of law, reasonable length of the proceeding, independent and impartial judges, and the need for all court decisions to be explained (grounded). The new Civil Procedure Code, which came into force in 2016, has innovated in terms of local law by providing more flexibility to the structure and deadlines involved in a court proceeding. Parties are now allowed to agree on the schedule for certain acts and on what kinds of evidence will be allowed – this is clearly inspired by arbitral proceedings. Moreover, conciliation and mediation hearings are now a default procedure for most of the cases. A proceeding usually commences with the filing of a claim before the clerks of the court with jurisdiction over the particular matter. A judge from within the court will be assigned, at random, to hear the case. After a preliminary analysis of the claim, should all the requirements be fulfilled, the judge will order the defendant to be served with process. The defendant is expected to file its defence within 15 business days of the service of process6 or as of the preliminary hearing, should a settlement not be reached. Once the arguments of each party have been presented, the judge will order the production of evidence in addition to the evidence already supplied by the parties in their pleadings. In most cases, the production of 'new' evidence will be circumscribed to court-mandated expert examination of certain matters made by a court-appointed expert7 and oral deposition of the parties and witnesses in the context of court hearings.8 Upon completion of the evidence production, the judge is expected to render a ruling on the merits of the case. Appeals to appellate courts may be filed against final lower court decisions within 15 business days of such decisions having been made public. The Brazilian legal system provides for a wide range of appeals to state appellate courts, the STJ, the Federal Supreme Court as well as to specialised higher courts. The new Civil Procedure Code has reduced various opportunities in which an appeal may be filed. Finally, in terms of territorial jurisdiction, the general rule is that civil and commercial lawsuits that do not concern real property rights should be brought before the courts of the place where the defendant is domiciled, or in which its headquarters are located. Several exceptions and supplemental jurisdiction rules are provided by the Civil Procedure Code and specific law. Choice-of-forum clauses are valid for lawsuits arising from contracts, and the new Civil Procedure Code provides that Brazilian courts may not have jurisdiction to hear disputes arising out of international contracts containing exclusive choice of foreign courts. However, courts may render a choice-of-forum clause void should they deem that the agreement is unequitable or that it has been reached through abuse of rights. Despite Brazil's Constitution characterising the reasonable length of the proceeding as a constitutional right, proceedings before the courts are not time-efficient. According to data provided by the National Justice Council, on average, it takes a minimum of two years between the filing of the claim and a ruling by a lower court judge, and another four years are required to obtain a decision on the enforcement proceeding if no appeals are filed. This research also indicates that approximately 100 million lawsuits are pending judgment in Brazil. The new Civil Procedure Code, as well as other laws currently in effect, have, as one of their objectives, making the entire legal dispute experience more efficient in terms of management of court cases. This is evidenced by the reduction of some appeals' scope, the encouragement towards conciliation and amicable settlements, the outset of fast-track proceedings, and the creation of specialised and small-claims courts. In synchrony with the spirit of the new procedural law, the rules relating to urgent and interim reliefs have also benefited, in many respects, from a conceptual change provided by the new Civil Procedure Code. Interim reliefs based on the urgency of a situation may be granted under requirements similar to the ones that prevailed under the former code, which were, at a minimum, evidence that the disputed right is probable and that there is risk of damage (or a risk of an inadequate result of the proceeding). The innovation is the possibility of having a provisional measure stabilised without the need of further litigation on the merits. In fact, should the defendant fail to appeal against the decision granting the interim measure sought, said relief will become stable and, until a review of the decision is requested,9 will continue to produce its effects. Influenced by common law, Brazil has embraced class actions since 1985, when the Class Action Act was enacted and the public civil action was conceived. Since then, the number of class actions has significantly increased (although it is not as widespread as it is in the United States) in order to defend different collective rights, such as consumer rights and environmental protection, as well as corruption matters and cultural and historical public heritage. Class actions have been brought against both public and private entities, aiming to sharpen their behaviour and discourage wrongdoings such as environmental pollution, misleading publicity and fraudulent public bids. a civil association of at least one year's standing, the purpose of which is in connection with the class action's purpose. Finally, there is no class certification procedure and there are no strict opt-in or opt-out provisions. As a rule, parties in a lawsuit must be represented by an attorney-at-law, enrolled and in good standing with the local branch of the Brazilian Bar Association (OAB) where the case is ongoing. In-house counsels enrolled with the OAB may represent the companies before courts. Government and public entities that do not have an internal legal department are often represented by government attorneys. Nevertheless, the law provides for specific cases in which the parties may represent themselves before courts, such as the filing of the writ of habeas corpus, litigation before the labour courts10 or representation before small-claims courts in simple lawsuits, where the amounts involved are lower than 20 times the current federal minimum wage. Brazilian law provides for strict conditions and limitations regarding the practice of law in Brazil by lawyers enrolled with foreign bar associations. Upon enrolment with the OAB into a specific category, foreigner practitioners may solely perform legal consultancy activities in connection with foreign law. They are not authorised to represent a party before Brazilian courts or otherwise 'practise Brazilian law'. With respect to arbitral proceedings, parties are not required to be represented by lawyers enrolled with the OAB. 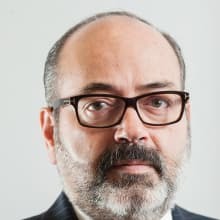 However, the Statute of the Brazilian Bar encompasses, among activities pertaining exclusively to lawyers, consultancy activities, advice and legal direction of matters, a situation that could lead to the expanded interpretation that only lawyers can represent a party in an arbitration proceeding. The client–attorney relationship is governed mostly by the Brazilian Bar Disciplinary Rules of Professional Conduct, a new version of which entered into force on 1 September 2016. The elements of such relationship are not as developed as in other countries, but attorney–client privilege is generally respected. After the filing of a claim, a court order will be rendered, and service of process will be performed, preferably by mail. Under the former Civil Procedure Code, the service of process by mail was an exception and the rule was the personal service of process by a process server, who would have to be an employee of a state court system (there are no private process servers). With the change brought about by the new law, there is an expectation that court costs involved in service of process will be reduced, efficiency of the measure will increase and the parties will not have to wait for a long time for service of process to take place. Accordingly, the judge presiding over a case may order the service of process to be made in any other county or judicial district within the national territory, and the issuance of a prior letter of request is no longer required. This is a very important step towards streamlining the various steps involved in such a process. Service of process by mail is deemed valid if it is carried out by registered letter containing a copy of the claim and indicating the deadline for response (usually 15 business days). For an individual, service of process may be deemed valid when it is received by the doorman or concierge of a building in lieu of the individual who was to be served. As for legal entities, the service of process is valid if it is received by a person with management powers, by the employee in charge of receiving the mail or someone with powers to be served on behalf of the entity. Nevertheless, other manners of service, especially personal summons by a process server, may be applicable. This mostly occurs when the one to be served is not competent to stand trial or is a public entity, as well as when the plaintiff reasonably requests a different form of service or if service by mail is unsuccessful. Moreover, should the service by mail and the personal one by process server fail to validly serve a defendant,11 a public notice will be published on the website of the state appellate court and the judge may also order it to be published in a widely read local newspaper in the location where the lawsuit is under development. The new Civil Procedure Code also provides for the possibility of a digital service of process; however, owing to the lack of further regulation in this regard, this manner of service is not being used yet. A foreign court decision12 will only produce its effects and become enforceable within the Brazilian territory after a ratification proceeding before the STJ. Other than rulings, interlocutory decisions and interim reliefs issued abroad may also be recognised and enforced in Brazil. does not violate Brazilian public order rules. Therefore, the STJ will solely analyse formal requirements, and the merits of the decision shall not be the object of re-examination. With respect to the service of process concerning proceedings being carried out abroad, Brazilian case law firmly decided that the service of process issued by a foreign court to a defendant resident or seated in Brazil will only be deemed valid (for the purposes of Brazilian law and local enforcement) if it is made through a letter rogatory. However, Brazilian courts may enforce decisions issued in default procedures as long as a valid service of process has been performed. Likewise, the recognition and exequatur of decisions rendered in breach of an exclusive jurisdiction of Brazilian courts will be denied (e.g., lawsuits concerning real property rights over real estate located within the Brazilian territory, and inheritance proceedings concerning assets situated in Brazil). The process of ratification of a foreign decision is an adversarial proceeding in which the parties are given an opportunity to refute each other's arguments. Therefore, should the requirements mentioned above be prima facie fulfilled, the justice in charge of reviewing such request for ratification will order the service of process of those concerned to file their defence, which is, however, limited to the formal requirements provided for by the law and referenced above. The recognition of a decision will be made irrespective of reciprocity requirements. Moreover, it will not depend on the existence of a treaty executed between Brazil and the country where the decision was issued. any other in-court or out-of-court measure not forbidden by Brazilian law and requested by a foreign party. International cooperation between Brazil and other countries is governed by general rules and principles that are mainly provided for by the Civil Procedure Code, and international (bilateral and multilateral) treaties based on reciprocity, diplomatic consent and comity. Brazil has not executed the Hague Convention on the Service Abroad of Judicial and Extrajudicial Documents in Civil or Commercial Matters. However, Brazil is a member of the Vienna Convention on Consular Relations and the Inter-American Convention on Letters Rogatory. Letters rogatory will be examined by the STJ. The case will be assigned to one of its justices, who will summon the concerned party or parties to file for defence, except when such act may have an impact on the effectiveness of the requested measure. The defence may solely address the arguments related to the authenticity of the documents and the fulfilment of the formal requirements by the decision. Particularly when the letter of request disregards national sovereignty, the exequatur will be denied on the grounds of human dignity or rules of public policy as applicable in Brazil. Moreover, international direct assistance may be granted in connection with measures that do not demand any judgment by Brazilian courts, such as requests for obtaining information about the local legal system or on administrative and court proceedings (ongoing and closed cases). In accordance with the constitutional principle of publicity of judicial acts, court proceedings are, as a rule, accessible to the public in general. Therefore, case files may be freely accessed and free of charge, whether made online or directly at the courthouse. Nevertheless, proceedings concerning family matters (i.e., marriage, divorce, affiliation and guardianship), confidential arbitration and personal information covered by the constitutional right to intimacy will proceed under seal of confidentiality. Moreover, whenever the public interest involved in a proceeding is at stake, the records will also be under seal. Access to case files has improved because of technological progress. It has long been possible for parties to a proceeding to access decisions rendered on a case online. However, more recently, Brazilian courts have started embracing the use of electronic process of law in which complete case files are made available online. Moreover, case law can be easily researched on the websites of state and federal appellate courts and superior courts. Third-party funding in litigation and arbitration is still at an early stage of development, although its expansion – especially with respect to arbitration – has increased over the past few years. Brazilian law does not specifically address the issue of litigation funding. Because of this lack of regulation, any related procedural rights and other legal consequences are unclear. In fact, even the lawfulness of such practice is not expressly confirmed. As mentioned above, third-party funding is a recent issue in Brazil, which currently resonates more significantly in arbitration than in litigation. Court litigation is not particularly costly in Brazil, although it is not time-efficient. There is, therefore, a long-standing practice of judicial credit assignment in Brazil, but not a widespread litigation funding practice. Nevertheless, given the increase of arbitration proceedings, many international and local funds are offering highly specialised third-party funding products in the Brazilian market. Moreover, considering the absence of specific legislative provisions, practitioners and arbitration chambers are debating the issues in order to set forth guidelines and specific provisions in the arbitration rules in this regard. Brazilian law addresses the issue of conflicts of interest with regard to lawyers and judges; however, it does not specifically regulate Chinese walls or provide for other information barrier mechanisms. With respect to conflicts of interest concerning lawyers, this is mainly addressed by the OAB Statute and the OAB Disciplinary Rules of Professional Conduct, a new version of which entered into force on 1 September 2016. The OAB's self-regulation prevents lawyers of a same law firm (or acting in cooperation or in partnership) from representing or counselling clients with antagonistic interests. The new Civil Procedure Code expanded the circumstances that may lead to a judicial disqualification of judges. Accordingly, the judge must recuse himself or herself whenever, for example, he or she has previously acted in the proceeding as counsel, expert or public prosecutor or judge within another jurisdiction; if he or she is partner or member of the board of a company party to the proceeding; or if his or her spouse or close relative is a party to the proceeding or counsel to a party. In this regard, one of the most relevant innovations is that, by statute, the judges are required to recuse themselves should a party in the proceeding be represented by a law firm in which his or her spouse or relative acts, even in cases in which the party in a particular case is represented by another lawyer of the firm. The law also provides for situations in which the judge's impartiality may be impaired and could justify the recusal, such as cases in which the judge has a close personal relationship, either positive or negative, with one of the parties or if he or she received gifts from someone with an interest in the outcome of the proceeding. In such cases, the judge is not obliged to recuse himself or herself and, should the judge deem that his or her decision will not be biased, the motion will be decided by higher courts. The judge may also request his or her replacement owing to causes of personal nature, without being required to disclose the specific reasons for doing so. The new Civil Procedure Code expressly states that a motion for replacement will be deemed unlawful if the party claiming such replacement has acted so to cause a conflict of interest or has agreed with its occurrence. In March 2016, the Counter-terrorism Act (Federal Law No. 13260) entered into force surrounded by security concerns raised in connection with the 2016 Olympic Games held in Rio de Janeiro. The law was widely criticised as it provides for legal concepts that are overly broad and ambiguous, leading to uncertainty and potential disrespect of human rights. More specifically, Article 6 of said law provides that one who is in any manner linked to resources used in connection with the preparation of terrorist acts will be subject to 15–30 years of incarceration. This can encompass any support towards obtaining or providing financial resources and funds on behalf of individuals or entities who, as a main or secondary activity, commit crimes of terrorism. However, this could also mean that a bank employee through which the funds were transferred, and who had no link to the situation, could also be charged as a co-conspirator or actual perpetrator. With respect to anti-money laundering measures, Federal Law No. 9613/1998, as amended by Law No. 12683/2012, provides for inspection mechanisms and criminal penalties, including the possibility of three to 10 years of incarceration in case of money laundering. In 2015, conditions were specified for bringing funds and assets (of lawful origin) held abroad back to Brazil. The deadline for presenting the information and repatriating the money was 31 October 2016, and the tax authorities have collected over 50 billion reais in penalties and taxes. A new version of such law was recently enacted, and funds may be brought to Brazil until February 2017, upon the payment of a tax or penalty of 35 per cent of the amount involved. The privacy and protection of private and government data is a fundamental right granted by the Federal Constitution (Article 5, X and XII). The specific regulations concerning said right are provided by several laws and decrees. One of the most relevant and recent laws in this regard is the Internet Act (Federal Law No. 12965, enacted on 23 April 2014), regulated by Decree No. 8771, dated 11 May 2016, which preceded the Act on Personal Data Protection, enacted in August 2018 (Law No. 13.709). The new legislation expressly restricts the communication of third-party data to marketing companies, and allows the exclusion of personal information from databases, to which the concerned party should have access. Further, once the Act enters into force (early 2020), companies will have the obligation to provide clear information on the collected, stored, shared and used data. The creation of a National Agency for the Protection of Personal Data is still pending further regulation. Likewise, the breach of confidentiality involving personal data must be allowed through a court order. In this regard, the same confidentiality protection granted to mail, and telephone communications is officially extended to emails. Should a post on the internet be deemed offensive by an individual, its removal can be sought before local courts. Regarding bank secrecy, in spite of it being a fundamental right, the requirement to lift such privilege was softened by a Federal Supreme Court decision that concluded that Complementary Law No. 105/2001 is constitutional. According to such law, tax authorities may access banking data directly from the banking entities, with no need of a previous court order. The attorney–client relationship is regulated mainly by the OAB Statute and the OAB Disciplinary Rules of Professional Conduct, which are also applicable to in-house counsel and foreign lawyers enrolled as 'consultants on foreign law'. Accordingly, attorneys-at-law are forbidden to disclose any private and non-public information to which they have had access through their client, or that has otherwise been brought to their attention in connection with the attorney–client relationship. The privilege covers a wide range of information, regardless of the nature involved, including written and oral communication. Confidentiality regarding the information disclosed within the attorney–client relationship is a public policy rule, and is applicable regardless of any specific request made by the client. Confidentiality may only be withdrawn under extraordinary circumstances that provide reasonable justification, such as serious threat to life or honour. Moreover, confidentiality may be lifted should it be relevant to defend the attorney himself or herself. Attorney–client confidentiality represents not only a duty of the attorney, but also a right. The lawyer is not required to testify in proceedings (whether it is a judicial, administrative or arbitral proceeding) with respect to the facts that he or she should keep under privilege. The privilege also encompasses the attorney's office, files, electronic data, mail and any communication (including telecommunications), all of which are deemed as being inviolable unless the attorney is under criminal investigation or might be acting in collusion with the client. The evidence needed to support the court's finding in connection with a particular case depends on the nature of the dispute, and its production is determined by the judge after hearing the parties in this regard. As the judge is free to examine the evidence, he or she may refuse to order the production of a specific kind of evidence, should he or she deem such evidence irrelevant to the outcome of the dispute. The production of evidence is conducted and led by the judge. Unlike the witness depositions that are conducted in the United States, no proceedings are conducted by a lawyer. For example, in the case of hearings of witnesses or personal testimony of a party, the questions of counsel involved in the hearing should be addressed to the judge, who will rephrase the question, should it be necessary, and address it to the witness or party. Brazilian law does not embrace discovery and full disclosure, as such concepts are known in common law jurisdictions. There are, therefore, no 'fishing expeditions' that would allow a lawyer to seek evidence that he or she does not know exists as to a particular matter, and parties will often provide documents and produce evidence only in order to support their own case. In fact, the Civil Procedure Code provides that, as a rule, the burden of proof should be supported by the party arguing a fact. make clear the reasons why the existence of the document and possession by the required party are likely. there are other situations that are deemed by court as reasonable to prevent its exhibition. If evidence needs to be produced from outside of the court's jurisdiction, the judge will issue a national letter of request or an international letter rogatory, as appropriate. Should a party wish to make use of a document written in a foreign language as evidence, a certified translation of such document, prepared by an official translator in Brazil, must be filed along with it. As for documents produced abroad, an apostille may be required as the Hague Convention Abolishing the Requirement of Legalisation for Foreign Public Documents entered into force in Brazil on 14 August 2016. The use of alternative dispute resolution is increasing, and is encouraged by law and even by courts. The Arbitration Act was amended in 2015, which provided further strength to the dispute resolution method that was already widely supported by courts and legal writings. As for mediation and conciliation, their use is particularly encouraged by the new Civil Procedure Code. Moreover, the regulation of out-of-court dispute resolution methods is becoming more consistent owing to the enactment of the Mediation Act in 2015, and the issuance of guidelines and institutional rules by private bodies and mediation chambers. The Brazilian Arbitration Act (Federal Law No. 9307) was enacted on 23 September 1996 and was recently amended by Federal Law No. 13129 on 26 May 2015, consolidating the respective case law and practice. The legal framework is also provided for by the New York Convention on Recognition and Enforcement of Foreign Arbitral Awards, which entered into force in Brazil in July 2002, through Decree No. 4311. The Brazilian Civil Procedure Code, especially the new one enacted in 2016, also provides for some rules regarding arbitration, mainly in order to acknowledge its lawfulness and improve the assistance of national courts to arbitral tribunals and the communication between both jurisdictions. The Internal Rules of the STJ and its Resolution No. 9 will apply to awards rendered abroad, as such awards will have to be 'domesticated' in Brazil before being locally enforceable. However, Brazil is not a party of the Washington Convention of 1965 on international investment arbitration. Within an arbitration-friendly environment, and with Brazilian courts being receptive to enforcing arbitration agreements and awards, arbitration has experienced significant development over the past 20 years, and the number of proceedings concerning a Brazilian party has notably increased. The Brazilian Arbitration Act grants full autonomy to the parties when choosing the arbitral institution that will conduct the procedure. Moreover, it does not require any special licence so international and foreign institutions can administer arbitration seated in Brazil. Therefore, the number of arbitration proceedings currently being administered by international institutions such as the International Chamber of Commerce and the London Court of International Arbitration is also remarkable. The main domestic arbitral institutions seated in Brazil are the Centre of Arbitration and Mediation of the Chamber of Commerce Brazil-Canada; the Chamber of Conciliation, Mediation and Arbitration of the Federation of Industries of the State of São Paulo; the American Chamber of Commerce Centre of Arbitration and Mediation; the Chamber of Business Arbitration and the Chamber of Mediation and Arbitration of the Getúlio Vargas Foundation. Lately, the scope of matters that may be subject to arbitration has been enlarged. In addition, the recent amendment to the Arbitration Act included certain matters that were so far deemed controversial among the subjects that may be referred to arbitration. The possibility of government-controlled entities referring disputes related to disposable rights to arbitration is now specifically authorised, as is the possibility (theretofore non-existent) of establishing arbitration clauses in employment agreements where employees are executive officers or statutory managers of companies (and are therefore assumed to be sophisticated, senior-level employees). Further, currently, certain matters involving consumer relationships may also be subject to arbitration. The Brazilian Arbitration Act provides that, in order to be binding, the arbitration clause shall be in writing and contained in the contract or in a separate document referring thereto. Nevertheless, there is no provision regarding whether the arbitration agreement must be signed by the parties in order to be effective. On 26 April 2016, the STJ decided that the signature of the parties is not a crucial requirement should the willingness of the parties be expressed by other ways, such as by the context of the negotiations. However, additional requirements to enforce arbitration agreements in contracts of adhesion and standard form contracts are provided by the Arbitration Act. In fact, on 15 September 2016, the STJ, featuring a franchising contract as a contract of adhesion, decided that an arbitration clause inserted in it was void because it was not highlighted and featured no specific signature. the award violates the principles of due process, equal treatment of the parties, impartiality of the arbitrator and autonomy of the decision. As a rule, Brazilian courts tend to accept the enforcement of foreign arbitration awards, which may, however, be denied on the grounds of public policy, especially if there is evidence of a violation of due process (including failure to properly notify a party), the absence of an arbitration agreement or the lack of proper acceptance of arbitration by a party. Likewise, should the dispute concern a matter that may not be subject to arbitration, the award would not be enforced (for example, rights that cannot be disposed of freely by a party). Moreover, based on a restrictive interpretation of Article V.1.e) of the New York Convention, the STJ decided, in December 2015, that an award set aside at the seat cannot be recognised and enforced in Brazil. Over the past few years, mediation has become a possible answer to the ineffectiveness of in-court litigation and to the increasing number of proceedings. Mediation was originally adopted by courts only as an attempt to settle small claims and family disputes. The new Civil Procedure Code, however, has enlarged the use of mediation, causing it to be a standard stage of the proceedings, except when a party expressly informs that it does not intend to be subjected to mediation. The development of mediation has triggered more robust regulation of such matters. 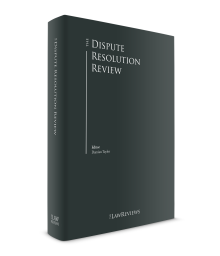 The new Civil Procedure Code dedicated an entire chapter to governing the use of mediation and conciliation in the context of in-court litigation, providing for the establishment of public mediation centres and a register of mediators. Also enacted in 2015, the Brazilian Mediation Act (Federal Law No. 13140) encompasses rules regarding in-court and out-of-court mediation. One of the most relevant innovations is the express possibility of having a dispute concerning a government entity submitted to mediation. Therefore, mediation is now a dispute resolution mechanism available in Brazil for individuals, private and government entities alike. Notably, disputes concerning non-disposable rights may be mediated should the parties be allowed to enter into an agreement about such matter, which would need to be ratified by a judicial court. Other than the arbitration and mediation mechanisms that are now widely used, permanent dispute boards constitute a recent but well-established reality in major infrastructure and civil construction projects. The new Civil Procedure Code came into force in 2016, with the goal of improving the efficiency and expediency of judicial proceedings in Brazil. Likewise, the extensive update of the Labour Law that came into force last year aimed to modernise the labour relationships and to reduce litigation related thereto. By the end of 2017, the statistics provided by the courts seem to evidence the first positive results of such measures; 2018 has already indicated the smallest historical growth rate of ongoing proceedings. However, the success of these legal innovations is still to be confirmed; it is necessary to analyse effects in the medium and long term. In the coming years, the creation of relevant case law is expected in connection with the use of new mechanisms brought by the updating of major legal provisions, especially the new Civil Procedure Code and the reform of Labour Law. Further, 2017 and 2018 have already confirmed a general support for cutting red tape in litigation and pre-litigation procedures, a trend that should continue in the coming years. A continuous and increasing support to arbitration, especially by the courts, should also be observed within the next few years. The economic crisis that has affected Brazil in recent years continues to impact, as evidenced by the number of reorganisation proceedings ongoing before Brazilian courts. The courts' precedents on this matter are providing more certainty to the practice and a new bill to amend the Brazilian Insolvency Act is currently under discussion. Thus, we should expect further developments on this matter within the coming years. Another aspect that should still be considered by companies and investors doing business in Brazil is the development of compliance requirements and anti-corruption measures. Over the past few years, owing to significant repercussions following Operation Car Wash, the fight against corruption in all industries and all levels of the government has been widely discussed, and this trend is expected to be maintained over the next years. Finally, in light of the recent presidential election and policy changes, the enactment and amendment of laws, acts and decrees are expected to be seen in the coming years, including the possible reform of the tax and social security systems. 1 Antonio Tavares Paes, Jr and Vamilson José Costa are partners at Costa Tavares Paes Advogados. The authors would like to thank firm associates Cristiano Dias and Marina Fusinato for their contribution to this chapter. 2 Similar to governmental decrees with a limited effective time, which must be confirmed by the legislature within 90 days, barring which the provisional measure loses its effectiveness. 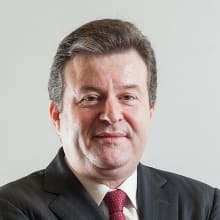 3 For example, administrative tax tribunals (the Court of Taxes and Fees of the State of São Paulo) and the Administrative Council for Economic Defence antitrust authority. 4 However, if a party opts to skip administrative tribunals, it will lose certain privileges, such as being able to question a tax assessment without providing an asset-based guarantee. 5 Court proceedings in Brazil do not contemplate out-of-court discovery (including e-discovery), such as in 'fishing expeditions'. Evidence production is highly regulated and the burden of producing such evidence is clearly allocated depending on the kind of procedure. 6 The deadline for a defendant to present written opposition to a claim will start running from the moment of the filing of the receipt of service of process. 7 Parties are allowed to hire and appoint their own experts to supervise the expert examination, collaborate with the court-appointed expert and present reports that complement or oppose the one presented by the court-appointed expert. 8 Brazilian law and court rules do not allow for deposition of parties or witnesses by lawyers only, as is prevalent in certain common law jurisdictions. 9 The review of the decision should be requested within two years from the date when it was officially published. 10 Despite a legal provision that parties may represent themselves before all levels of labour courts, a binding precedent issued by the Superior Labour Court of Appeals limits such autonomy to the proceedings ongoing before the lower labour courts and regional labour courts of appeals. 11 If, after two failed attempts to serve the defendant, the process server suspects that the defendant is purposely avoiding the service, he or she may summon a family member or a neighbour on a date and time in which he or she will make a new attempt to serve the process. Should the server, in this third attempt, fail to reach the defendant, a letter will be sent by mail and the defendant will be deemed validly served. 12 As it pertains to arbitral awards. See Section VI.ii. Class actions and major group litigation can be a seismic event not only for large commercial entities but for whole industries. Their reach and impact mean they are one of the few types of claim that have become truly global in both importance and scope. This book covers the most important developments in class actions in ﻿20 jurisdictions ﻿around the world.